The brilliantly described journey of a young academic-intellectual in search of freedom and the meaning of life. The narrator, Ada Sabová, a young academic from the “Institute of Interdepartmental Human Studies”, is in many ways typical (though not stereotypical) of modern intellectuals trying to balance their personal life with their career. She has been through many things in both of them and so is guilty of a certain cynicism, or rather of an informed, sarcastic view of the world, the people around her, and herself. While searching for a colleague’s lost son, she notes the apparent coincidences around her, behind which, however, she senses a regularity and interdependence. She looks for an overarching definition of all these phenomena in her “theory of strangeness” and discovers that she cannot grasp the infinite complexity of the world through reason alone. And while the society around her clings on increasingly tightly to vacuous rules, Ada abandons their structures one by one and sets out towards freedom. Pavla Horáková (1974) is a writer, literary journalist, translator and radio journalist. She wrote the detective trilogy for young readers: Tajemství Hrobaříků; Hrobaříci v podzámčí; Hrobaříci a Hrobaři (The Secret of the Sextons, 2010; The Sextons under the Castle, 2011; The Sextons and the Gravediggers, 2012). She began translating in 2007 and has been awarded two prizes for her literary translations. 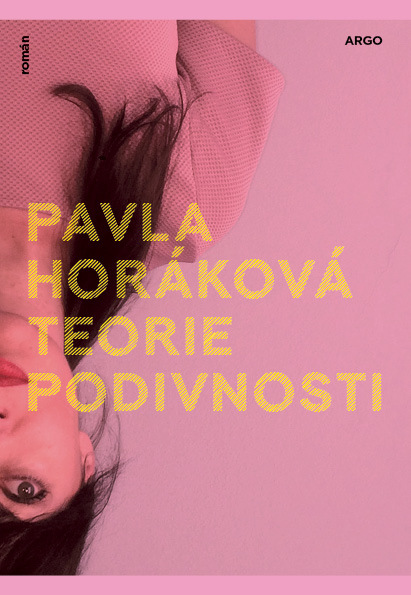 In 2018, together with Alena Scheinostová and Zuzana Dostálová, she published the novella Johana, as well as her first book for adults Teorie podivnosti (The Theory of Strangeness). From 2014 to 2018 she worked on the series Polní pošta (The Field Post Office) with her radio colleague Jiří Kamen for the Vltava radio station. It draws on diaries, memoirs and correspondence from Czechs involved in the First World War, and was published in book form as Přišel befel od císaře pána (An Order Came Through from the Emperor, 2015) and Zum Befehl, pane lajtnant (Zum Befehl, Lieutenant, Sir, 2018).